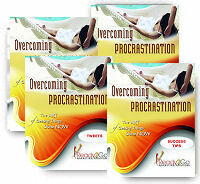 Special Report: Overcoming Procrastination - The Art Of Getting Things Done Now! from Ready2Go Marketing Solutions, Inc. When you have a pressing task on your plate, do you get right to work and knock it out? Or do you find yourself scrolling through Facebook & re-organizing your closet instead? Well if you’re like most people, you probably do combination of the two. According to the American Psychological Association, only 20% of American men & women are chronic procrastinators. The rest of us only do it when we have something better to do. Many of us start really strong with great intentions and grand visions, whether drafting a presentation for work or a kicking off a weight-loss regimen dreamed up on New Year’s Day. However, soon enough life gets in the way, and instead of continuing on the path, so many of us fall back into the safer, more familiar waters of clearing out the junk-mail folder, sanitizing the baseboards and Friday happy hours. The good news is this: Procrastination doesn’t have to win. That’s why it’s important…nay, ESSENTIAL to learn the tools used by the super-successful & pull yourself out of the mire of “I’ll do it later” as SOON as humanly possible. 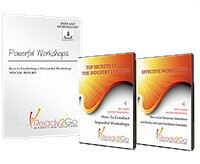 If you’d like to help your clients eliminate their habits of procrastination and invite more productive, playful, proactive wins into their lives, this special report will empower them with the tools, tips, tricks and guidance they need to beat procrastination, develop new habits, and get back into the flow of life. How to get back on track NOW, and accomplish more in less time. Identify their most common productivity potholes…and navigate around them. Stumble upon exciting new opportunities, partnerships & projects. Inspire others around them to take action & accomplish their dreams.